Ordinary programmers have suffered greatly from the economic sanctions against Russia. Apple and Google have fully suspended accounts belonging to Crimean software developers. Their applications are no longer available for downloading and their earnings are blocked. Many mobile application developers in Crimea are closing their operations in order to move to Russia or Ukraine, says Alexei Sinitsa, owner of Ideas World, a mobile developer in Simferopol, one of Crimea’s largest cities. The main factor is the Ukraine Freedom Support Act, signed into force by U.S. President Barack Obama in late 2014, which forbids economic relations between American companies and those located on the Crimean peninsula. In mid-January 2015 Apple not only blocked the accounts of Crimean software developers, but also deleted their applications from the App Store. Moreover, the company stopped selling its own products on the peninsula. Google blocked the developers' access to Google AdSense, Google Apps and Google Analytics services. The Google Play programmers' accounts have been suspended and their earnings have been frozen. All that can be accessed in Crimea today is Google mail, search, maps and other free services. Meanwhile, programmers have been transferring the applications that Apple deleted to other platforms. "We moved our bank application to Yandex.Store the day after it disappeared from the App Store," says Sinitsa. He also remarked that the sanctions have tarnished Crimean developers' image and undermined client trust. According to Eldar Murtazin, a leading analyst at the Mobile Research Group, the sanctions against Crimea are a repetition of similar measures taken against Russia. "While people are paying, they can use the services and ways to bypass the situation will be found quickly," Murtazin says. Many software developers in Crimea have offices in Moscow and St. Petersburg and can create new legal accounts outside the peninsula. However, this will entail additional expenses as the registration of a new software developer account for iOS, Apple’s mobile operating system, costs a fixed sum of $99. The situation will undoubtedly be more difficult for small independent software developers and programmers. It has already engendered a storm of indignation on social networks. One independent developer named Rusfet Kadyrov wrote on his Facebook page: "For ordinary mortals with budgets of a hundred bucks tech support just doesn't exist. There's only the open forum, in which you can blurt something out into the emptiness of the network's double code." The fact that Google has blocked developers’ earnings also caused an outrage. "Fine, sanctions are sanctions, but not to return people's earnings? It's an ordinary rip-off. They're just a bunch of clever thieves," wrote Alexei Lokhvitsky, a journalist and a blogger from Crimea. Google has been storing data on the location of its users for more than five years. 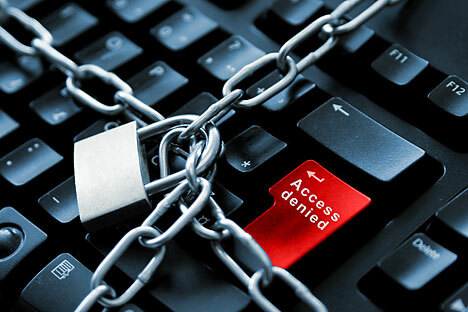 Bypassing their system would be technically difficult for a software developer, which is why some freelancers and companies are solving this problem by publishing applications from accounts that the sanctions cannot affect. "We can open an account with a front man in Russia," one Crimean programmer told RIR. "Or better, with some Chinese guy in the U.S. It's guaranteed." Not long after these corporations blocked access to their services for regular users in the Crimea, instructions on how to bypass the restrictions started appearing online. iOS users can just change "their billing address" to any real Russian address outside the peninsula to avoid detection. The ZenMate anonymizer application is being used by owners of Android devices for similar purposes.